To use the sticky footer you’ll need to modify the default theme template and add some css. 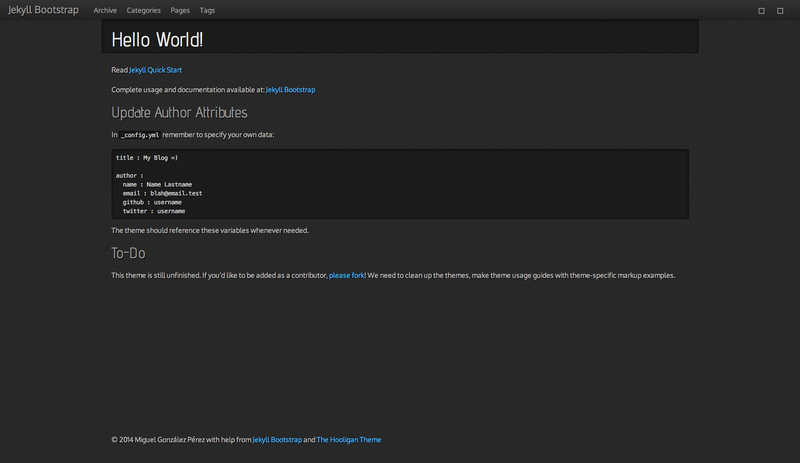 I’ve used this theme with a sticky footer. Here you have the example of a sticky footer for twitter bootstrap.